Darkest Africa: thrilling tales and daring adventurers! The term Darkest Africa references to Africa as Livingston found it exploring the Congo river. For sure you know about the adventures of David Livingston or Henry Morton Stanley. 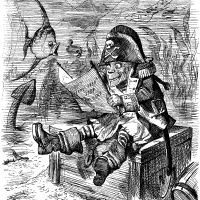 Or maybe you have read Joseph Conrad’s Heart of Darkness. 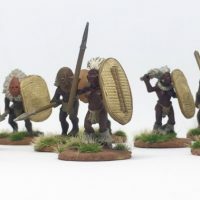 In miniature wargaming, the term Darkest Africa is mostly used as some kind of Lost World. But without Dinosaurs and stuff like that. First of all think of sandy wasteland, wide savanah and thick jungle. Also, it is populated with dangerous creatures and hostile natives. As a result, we have a gigantic terra incognita as a playground for brave adventurers like you. Because of all its dangers and mysteries, the Dark Continent is one of the most thrilling settings for wargaming. 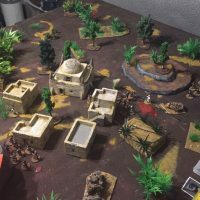 It doesn’t matter if you’re playing colonial wargaming, Pulp or building your own imagiNation. The Dark Continent is full of possibilities. But to catch the spirit you need proper miniatures, scenery and terrain. 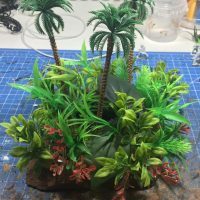 You find plenty of inspiration and tutorials on this page to make the most out of your experience. So happy exploring!